Dr. Ahava Oppenheimer grew up in Miami, Florida. She received her Bachelor of Arts Degree from Yeshiva University. Dr. Ahava Oppenheimer grew up in Miami, Florida. She received her Bachelor of Arts Degree from Yeshiva University. She completed her optometric training at State University of New York College of Optometry in 2001. A Floridian at heart, Dr Oppenheimer returned to South Florida and joined our practice in 2012. 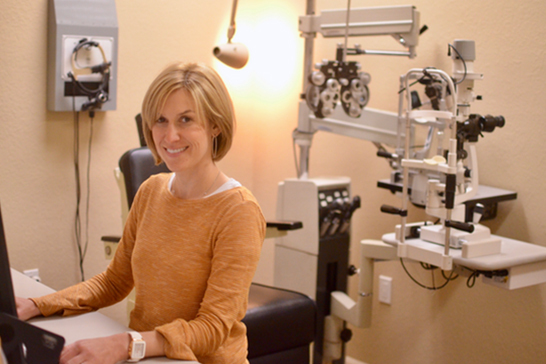 Dr Oppenheimer practices full scope optometry including comprehensive eye exams, management of diseases of the eye, and contact lens fittings. However she specializes in the treatment of Dry Eye. Dr Oppenheimer runs our Dry Eye Center of Excellence, utilizing the most updated techniques and equipment to manage Dry Eye Syndrome. Dr Ahava Oppenheimer spends her free time with her family. When she is not in the office, she cares for her husband and six children.